Home / interviews / Interview with MkM of Aosoth!! E-mail interview conducted in May, 2011. WULF: While Aosoth is unmistakably one of the most original and infamous bands leading the charge in this recent explosion of excellent French black metal (including other artists such as Deathspell Omega, Blut aus Nord, Peste Noire, etc. ), it is stylistically quite its own beast. “III” is also one of the best albums I’ve heard this year. What were you personally aiming to accomplish with this album? MkM: As a start, see, those bands you did mention, all are very different in their approach, am just very familiar with DSO myself; yet it seems that at the same time or so, we ended up having releases which would have something similar, more than just the geographic origin of the band. I doubt that there is really an explosion of french black metal (or nothing compared to how the black legions got worshipped) but there is nowadays a scene. And even a scene at a turning point, wondering how things will go. 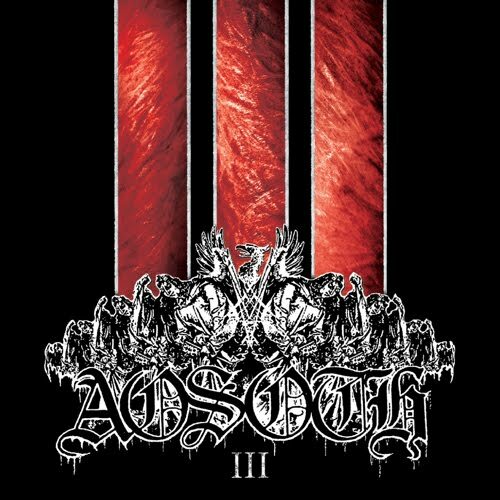 Just like we do feel like a void after each release, when “ashes of angels” was released, our previous effort… all the events that occured after (the tour with hell militia, personal issues…) all those series of event did create the climax that made the composition of III happen. Nothing is “marketed”, it does depict a moment of time, one sinister moment of time which is still lasting up to now. As vocalist for this band, I wanted it to be really a performance & exposure. Just like an Art happening. Right now, I couldnt even say how the future would be for us, if we would do anything. Just like there is no aim for now, there were no particular aim then, just having to let it out, create the most genuine piece of work at this moment of time, exposing ourselves. 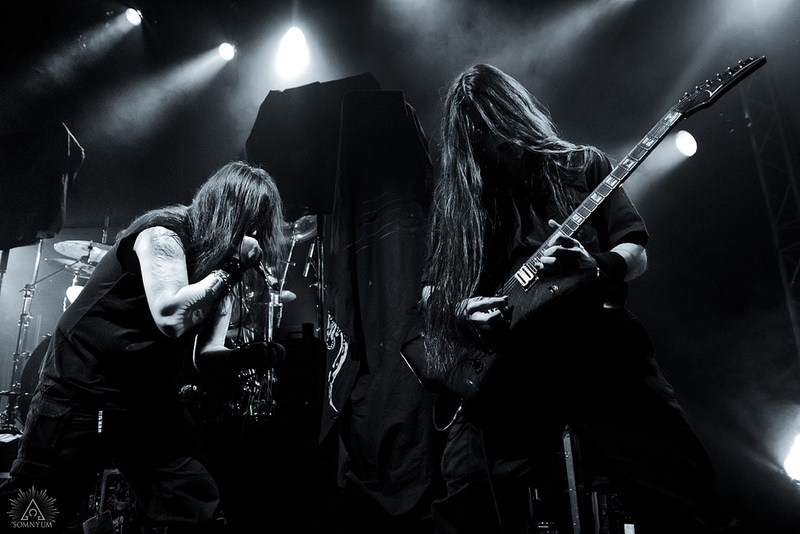 WULF: A common lyrical theme of yours is, according to a recent interview with Metal Maniacs, “praising Satan, excess, and (your) own deviances”. If that is the case, then where does all this hatred and rage that is reflected in your music come from? MkM: Being non reliable, unstable, lunatic, “negative” (while I’d say “realist”)… Any individual who had to work with me at one point or another do know that I’m not the easiest one to work along with. Lots of tension in the air and that eternal destructive desire. I need to harm what is near, I just walk this path and all makes sense that way for me. Having now more distance allows me not to get swallowed in my own stream, there is no one by my side. I just expose what is inside and turn it into an audio experience, be it with aosoth or antaeus or any other act I was involved in as “writer”/performer. WULF: “III” is quite a nightmarish listen. The atmosphere on the album for me clearly evokes death, urban decay, abandoned cathedrals, and nightmarish hallucinations. What images or concepts come to mind for you personally when you create or listen to the music of Aosoth? MkM: The breathing of the other, watching inside the eye of the victim/partner. Stealing moment, making others last long, feeling one with blood and pulse. That would be how I would feel myself. But that vision you described seems closer to what the other band members are experiencing through III. Those are two distincts approach : the music on one side, lyrics on the others. Both combined : that gives such result. With another vocalist and different structures and more “song structure” with chorus and so on, that would have been a very different album. I’d really like that to happen somehow, thus I’d keep “III’ just as my own. Really have a special relation to this release, somehow like unique and not willing to let it go. WULF: In almost every Aosoth interview I’ve read you’re asked about your involvement with The Order of the Nine Angels. 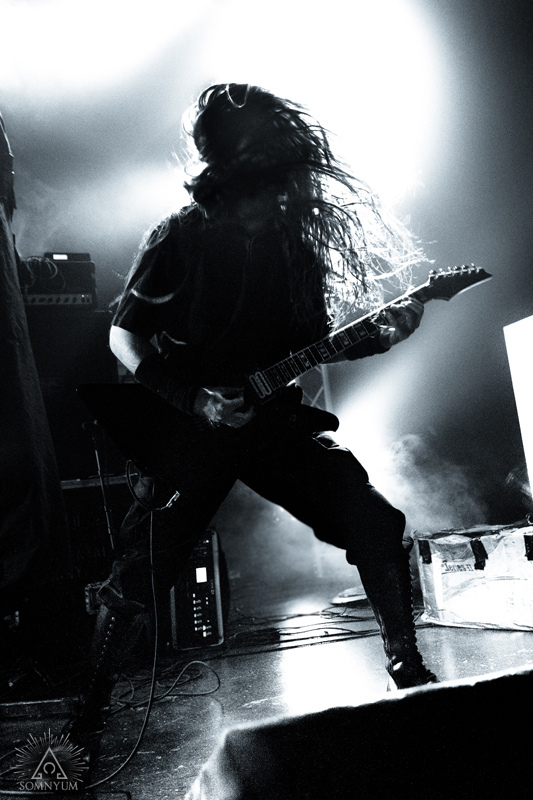 While you’ve stated that you’re not an official member, does the Order have a strong following among other French black metal bands Aosoth is associated with (such as Balrog, Watain, VI, Merrimack, etc.)? I’m not asking for any specific names or bands, of course, but I’m curious as to the prevalence or popularity of this organization and the role it plays, if any, in this specific regional scene. MkM: To this question, I’ll have to say that I do not have a clue at all !!! Watain being swedish btw, and they are more affiliated to the Temple of the black light if I’m not mistaken. Also you do refer to a “regional” scene : well that seems not too accurate in our case since there is no unity in this scene, which is not a bad thing : suits me perfectly that way. WULF: I’ve read that the lyrics will be enclosed with the physical album. Unfortunately for me, I only have a digital promo copy of the album. Would you like to explain a little about the lyrics and concepts of “III”? MkM: Indeed they are, both on lp & cd. They were written in a similar state as the lyrics I once did write for “blood libels”, the last antaeus album in date. Thus very personal and more of an “exposure”… the album is not a gathering of songs as far as I am concerned. There is no “sing along” parts or whatever, more of a performance recorded in one take (vocals wise) and being based on a monologue or “silent” dialog in between two characters. Mostly people are expecting lyrics with themas involving magic, satanism… there this is not as “obvious” and not really fitting the genre. Though it still praises & shows devotion towards the worst/best in us. WULF: Is there any chance that you will supplement this auditory violence with a visual experience, such as a music video or DVD? MkM: Highly doubt it. First of all, most of our live conditions are so low that capturing such events wouldnt be worth being witnessed. Also the cost for such release is just beyond anything we could ever afford. Took me years to cover up the cost from the antaeus video, which was at first not even meant to be even used. We had ideas about particular images we would have wanted to add to the audio related to III. Just do not think any of this will ever take place. Even having “band promo picture” is quite impossible, so a video !! WULF: Now that Antaeus is more or less on hold indefinitely, do you have any other bands or projects you are involved in besides Aosoth? MkM: No time for anything else at all. Each album is a sacrifice, takes a lot of time and implies involving yourself fully in it. 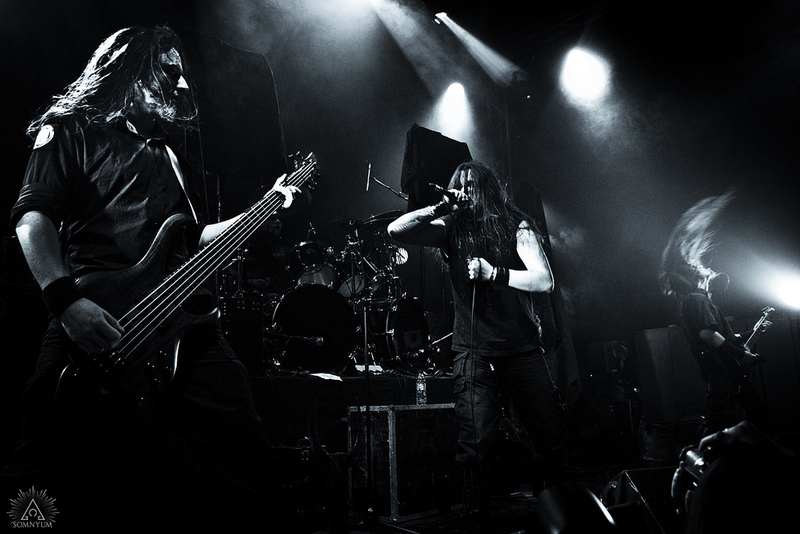 Antaeus will just perform two gigs in the coming months, in June for the deathkult openair festival in Germany and in december for the Rites of Darkness part 3. About bst (guitar player) he has the order of appolyon (signed on listenable) as well as genital grinder (death metal), he’s about to have a split lp. InrVI is mostly busy with VI and should have a full lenght recorded this coming year on Agonia records. 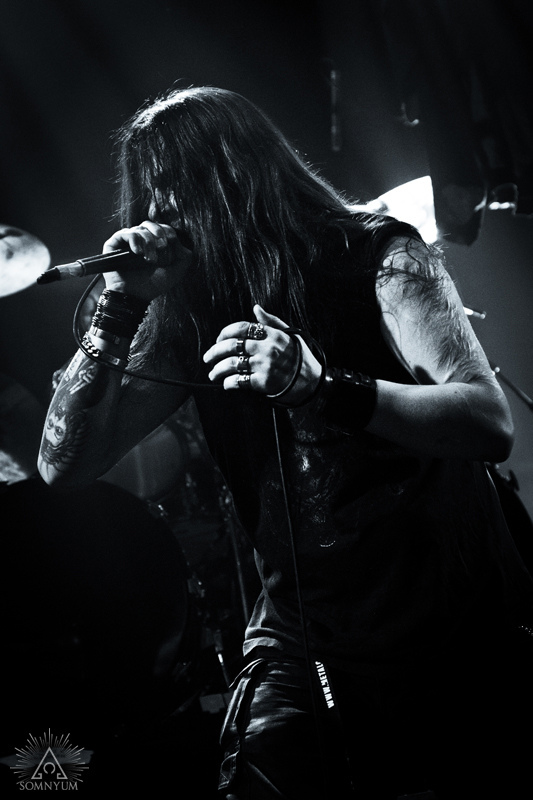 Aosoth should record two tracks maybe before the end of 2011…. time shall tell. For each plan we make, many problems rise and turn all into dust. WULF: That is all the questions I have for you. Thank you again for taking the time to answer these questions. Good luck to you in the future! Anything else you would like to add to the interview at this time? MkM: Hails to you for the support & having us in your zine.